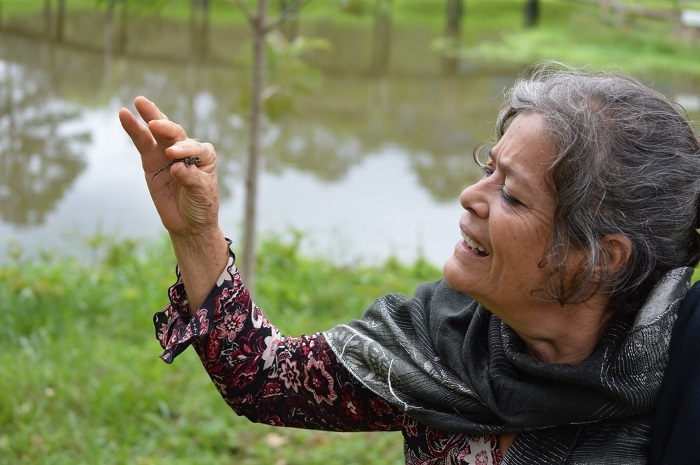 Aida Flores, organic promoter and small-scale coffee farmer from the Nicaraguan women’s cooperative Las Diosas, appreciates every form of life – including this small frog – pictured here during an intensive workshop “El Diplomado Organico” organized by Marcala Organica, Honduras. Under an endless downpour of depressing news, with facts and images depicting economic, social, and environmental crises, it’s easy to get swept away in despair. And with so many world leaders pushing political agendas in the wrong direction—toward greater economic injustice, human suffering, and runaway climate change—we risk seeing more and more people give up. But please, don’t; it’s still too early to lose hope! We’re surrounded by solutions. But we must choose to put them to work. Now more than ever, our lifestyle and consumption choices have potential to create remarkable, positive change. By choosing fair trade products such as small-scale farmer coffee or cocoa, and other smallholder products, we not only support producers and artisans, but also participate in production systems that go easy on the environment and encourage thriving co-operatives and communities. A fair price helps farmers invest in more sustainable practices and infrastructures. It also empowers producer families, co-operatives, and communities to invest in projects that promote healthier living, such as reduced-emission cook stoves, clean water, or access to health services and education. But what about everything that doesn’t fall neatly within the fair trade framework? Fair traders are well positioned to raise awareness and take action in broader circles, making our planet a healthier and fairer place. Climate change is a pending disaster for all living creatures, and we must act now in order to stop catastrophic environmental destruction in the frighteningly near future. Hitching our sensitivity for economic justice to causes that protect the environment is becoming part of our collective challenge. It’s time for conscious consumers to revitalize, engage, collaborate, act up, and speak out! • Compost all organic Residue! Let’s stop trying to dominate nature and each other and adopt a spirit of constructive collaboration. Real impact is possible when we dig a little deeper and come together in our awareness to intentionally make positive, systemic change. This might sound like a very tall order for the fair trade movement. But fair trade itself has been extraordinarily successful at driving noble causes. Fair trade demonstrates that consumers care about the way products are made and how farmers, workers, or artisans are paid and treated. And the process, “Business as Usual” had to sit up and taken notice. I’ve worked in coffee for 25 years, a blink in the timeframe of that commodity on the planet, yet I’ve seen tectonic shifts in the industry. I’ve had the opportunity to participate in the birth of the fair trade coffee movement, while working with both producer organizations and early labelling initiatives. I’ve seen fair trade grow, develop, and diversify. I’ve nurtured organic coffee, learning alongside small-scale farmers, and have seen how the nuances of this crop have blossomed into a household vocabulary. I’ve been swept up in the tourbillon of quality coffee, as the concept and realities expanded beyond our wildest dreams. And I’ve also seen countless “extreme challenges” from seed to cup, ranging from market fluctuations to crop failures to the ultimate extremes of power struggles and political assassination. But when all is said and done, production, market, and living conditions have fundamentally improved for coffee farmers engaged in fair trade. I grew up in the era of the bitter and bottomless cup and an utter lack of consumer awareness of coffee farmers. With the introduction of fair trade and the ensuing ethical, responsible, and direct trade variations, coffee became chic in remarkably short order. Today, the fastest growing market sectors are gourmet, organic, fair trade, and other cause-related niches within specialty coffee. Even coffee companies that have tried hard to steer clear of fair trade feel compelled to announce farmer friendly initiatives. For some companies, this is as simple as rolling up the rim to show consumers how their purchase touches the life of a coffee farmer. For others, it’s developing more sophisticated internal criteria or joining an ethical initiative so they can show a connection to the farm. An informed and motivated consumer base, making intelligent choices, can play a critical role in turning the tide toward a more just, safe, and healthy planet. So get out there and exert your power as if your life depends upon it. Because actually, it does. Get started on a low-carbon lifestyle with this list of ideas. Do one thing new each week or each month and see your carbon footprint shrink over time. Environmental Defence tackles some of Canada’s most critical environmental and health issues: global warming, harmful chemicals, and urban sprawl. Add your name to an e-petition and help protect the environment and our health. Through citizen engagement, Climate Hubs help build public support for political leadership on climate change. While international agreements are essential, citizens, businesses, and civil society must step up. Learning for a Sustainable Future encourages educators to include key aspects of the UN’s education for sustainable development program in formal curriculum. Faith & the Common Good is a national network of diverse faith congregations and spiritual communities, built on the belief that faith groups share a calling to protect our ecosystems and serve our communities. 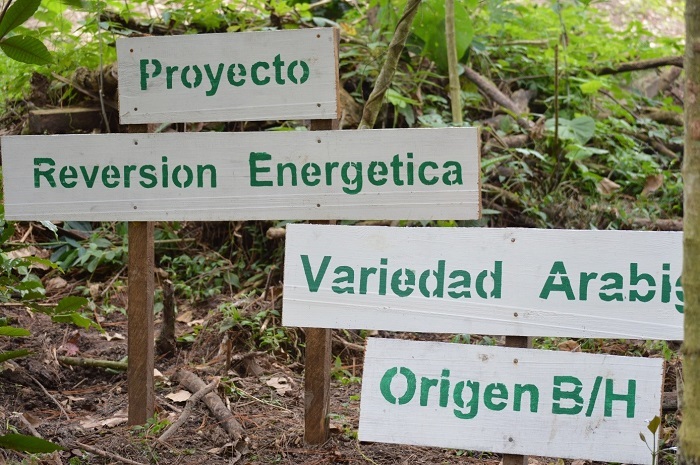 Regeneration International promotes regenerative food and farming, with the ultimate aims of restoring climate stability, ending world hunger, and rebuilding social, ecological, and economic systems.